The system described in Example 11.15 is heated by a hybrid collector-passive storage system. The solar collector is air type with an area equal to 30 m2, FR(ja)n = 0.65, FRUL = 4.95 W/m2-°C, and (t«)„ = 0.91. In this case, the room temperature is 20°C. 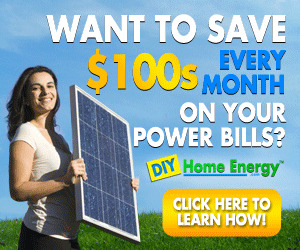 Estimate the solar fraction for December and the auxiliary energy required. In this chapter so far, we have seen simple methods that can be used to design active solar energy systems of standard configuration using /-chart and other solar processes with the utilizability methods. Although these methods are proven to be accurate enough and possible to carry out with hand calculations, the most accurate way to estimate the performance of solar processes is with detailed simulation. The proper sizing of the components of a solar energy system is a complex problem that includes both predictable (collector and other performance characteristics) and unpredictable (weather data) components. The initial step in modeling a system is the derivation of a structure to be used to represent the system. It will become apparent that there is no unique way of representing a given system. Since the way the system is represented often strongly suggests specific modeling approaches, the possibility of using alternative system structures should be left open while the modeling approach selection is being made. The structure that represents the system should not be confused with the real system. The structure will always be an imperfect copy of reality. However, the act of developing a system structure and the structure itself will foster an understanding of the real system. In developing a structure to represent a system, system boundaries consistent with the problem being analyzed are first established. This is accomplished by specifying what items, processes, and effects are internal to the system and what items, processes, and effects are external. Simplified analysis methods have the advantages of computational speed, low cost, rapid turnaround (which is especially important during iterative design phases), and ease of use by persons with little technical experience. The disadvantages include limited flexibility for design optimization, lack of control over assumptions, and a limited selection of systems that can be analyzed. Therefore, if the system application, configuration, or load characteristics under consideration are significantly non-standard, a detailed computer simulation may be required to achieve accurate results. 1. They eliminate the expense of building prototypes. 2. Complex systems are organized in an understandable format. 3. They provide a thorough understanding of the system operation and component interactions. 4. It is possible to optimize the system components. 5. They estimate the amount of energy delivery from the system. 6. They provide temperature variations of the system. 7. They estimate the design variable changes on system performance by using the same weather conditions. Simulations can provide valuable information on the long-term performance of solar energy systems and the system dynamics. This includes temperature variations, which may reach to values above the degradability limit (e.g., for selective coatings of collector absorber plates) and water boiling, with consequent heat dumping through the relief valve. Usually, the detail or type of output obtained by a program is specified by the user; the more detailed the output required, the more intensive are the calculations, which leads to extended computer time required to obtain the results. Over the years a number of programs have been developed for the modeling and simulation of solar energy systems. Some of the most popular ones are described briefly in this section. These are the well-known programs TRNSYS, WATSUN, and Polysun. The chapter concludes with a brief description of artificial intelligence techniques used recently for the modeling and performance evaluation of solar and other energy systems. TRNSYS is an acronym for "transient simulation," which is a quasi-steady simulation model. 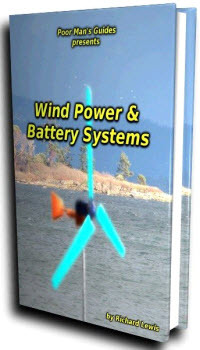 This program, currently in version 16.1 (Klein et al., 2005), was developed at the University of Wisconsin by the members of the Solar Energy Laboratory and written in the FORTRAN computer language. The first version was developed in 1977 and, so far, has undergone 11 major revisions. The program was originally developed for use in solar energy applications, but the use was extended to include a large variety of thermal and other processes, such as hydrogen production, photovoltaics, and many more. The program consists of many subroutines that model subsystem components. The mathematical models for the subsystem components are given in terms of their ordinary differential or algebraic equations. With a program such as TRNSYS, which can interconnect system components in any desired manner, solve differential equations, and facilitate information output, the entire problem of system simulation reduces to a problem of identifying all the components that make up the particular system and formulating a general mathematical description of each (Kalogirou, 2004b). The users can also create their own programs, which are no longer required to be recompiled with all other program subroutines but just as a dynamic link library (DLL) file with any FORTRAN compiler and put in a specified directory. Simulations generally require some components that are not ordinarily considered as part of the system. Such components are utility subroutines and output-producing devices. The type number of a component relates the component to a subroutine that models that component. Each component has a unique type number. The unit number is used to identify each component (which can be used more than once). Although two or more system components can have the same type number, each must have a unique unit number. Once all the components of the system have been identified and a mathematical description of each component is available, it is necessary to construct an information flow diagram for the system. The purpose of the information flow diagram is to facilitate identification of the components and the flow of information between them. Each component is represented as a box, which requires a number of constant parameters and time-dependent inputs and produces time-dependent outputs. An information flow diagram shows the manner in which all system components are interconnected. A given output may be used as an input to any number of other components. From the flow diagram, a deck file has to be constructed, containing information on all components of the system, the weather data file, and the output format. Subsystem components in the TRNSYS include solar collectors, differential controllers, pumps, auxiliary heaters, heating and cooling loads, thermostats, pebble bed storage, relief valves, hot water cylinders, heat pumps, and many more. Some of the main ones are shown in Table 11.15. There are also subroutines for processing radiation data, performing integrations, and handling input and output. Time steps down to 1/1000 hour (3.6 s) can be used for reading weather data, which makes the program very flexible with respect to using measured data in simulations. Simulation time steps at a fraction of an hour are also possible. In addition to the main TRNSYS components, an engineering consulting company specializing in the modeling and analysis of innovative energy systems and buildings, Thermal Energy System Specialists (TESS), developed libraries of components for use in TRNSYS. The TESS libraries, currently in version 2, provide a large variety of components on loads and structures, thermal storage, ground coupling, applications, geothermal, optimization, collectors, HVAC, utility, controls, and many more. Model validation studies have been conducted to determine the degree to which the TRNSYS program serves as a valid simulation program for a physical system. The use of TRNSYS for the modeling of a thermosiphon solar water heater was also validated by the author and found to be accurate within 4.7% (Kalogirou and Papamarcou, 2000). TRNSYS used to be a non-user-friendly program; the latest version of the program (version 16), however, operates in a graphic interface environment called the simulation studio. In this environment, icons of ready-made components are dragged and dropped from a list and connected together according to the real system configuration, in a way similar to the way piping and control wires connect the components in a real system. Each icon represents the detailed program of each component of the system and requires a set of inputs (from other components or data files) and a set of constant parameters, which are specified by the user. Each component has its own set of output parameters, which can be saved in a file, plotted, or used as input in other components. Thus, once all the components of the system are identified, they are dragged and dropped in the working project area and connected together to form the model of the system to be simulated. By double-clicking with the mouse on each icon, the parameters and the inputs can be easily specified in ready-made tables. Additionally, by double-clicking on the connecting lines, the user can specify which outputs of one component are inputs to another. The project area also contains a weather processing component, printers, and plotters through which the output data are viewed or saved to data files. The model diagram of a thermosiphon solar water heating system is shown in Figure 11.12. FIGURE 11.12 Model diagram of a thermosiphon solar water heating system in simulation studio. 2000; Kalogirou, 2009), modeling and performance evaluation of solar domestic hot water systems (Oishi and Noguchi, 2000), investigation of the effect of load profile (Jordan and Vajen, 2000), modeling of industrial process heat applications (Kalogirou, 2003a; Benz et al., 1999; Schweiger et al., 2000), and modeling and simulation of a lithium bromide absorption system (Florides et al., 2002). As an example, the results of modeling a thermosiphon system are given (Kalogirou, 2009). The system model diagram is shown in Figure 11.12 and its specifications in Table 11.16. The system monthly energy flows are shown in Figure 11.13, which includes the total radiation incident on the collector (Qins), the useful energy supplied from the collectors (Qu), the hot water energy requirements (Qioad), the auxiliary energy demand (Qaux), the heat losses from the storage tank (Qenv), and the solar fraction. FIGURE 11.13 Energy flows of the thermosiphon solar water heater. energy supplied from the collectors (Qu) is maximized in the month of April (0.62 GJ). It can be also seen from Figure 11.13 that there is a reduction in the incident solar radiation and consequently the useful energy collected during the month of May. This is a characteristic of the climatic conditions of Nicosia and is due to the development of clouds as a result of excessive heating of the ground and thus excessive convection, especially in the afternoon hours. From the curve of the energy lost from storage tank (Qenv), it can be seen that, during the summer months, the energy lost from storage to surroundings is maximized. This is true because, in these months, the temperature in the storage tank is higher and consequently more energy is lost. Referring to the curve of hot water load (Qload), there is a decrease of hot water load demand during the summer months. This is attributed to the fact that, during the summer months, the total incidence of solar radiation is higher, which results to higher temperatures in the cold water storage tank (located on top of the solar collector). Consequently, the hot water demand from the hot water storage tank during these months is reduced. The variation in the annual solar fraction is also shown in Figure 11.13. The solar fraction, f, is a measure of the fractional energy savings relative to that used for a conventional system. As can be seen, the solar fraction is lower in the winter months and higher, reaching 100%, in the summer months. The annual solar fraction is determined to be 79% (Kalogirou, 2009). • Domestic hot water system with or without storage and heat exchanger. • Domestic hot water system with stratified storage tank. • Phase change system, for boiling water. • Sun switch system, stratified tank with heater. • Swimming pool heating system (indoor or outdoor). • Industrial process heat system, reclaim before collector. • Industrial process heat system, reclaim after collector. • Industrial process heat system, reclaim before collector with storage. • Industrial process heat system, reclaim after collector with storage. • Variable volume tank-based system. • Space heating system for a one-room building. Recently, Natural Resources Canada (NRCan) developed a new version of the program, WATSUN 2008 (NRCan, 2008). This is also used for the design and simulation of active solar energy systems and is provided free from the NRCan website (NRCan, 2008). The two programs share the same name, focus on the hourly simulation of solar energy systems, and use similar equations for modeling some components; however, the new program was redeveloped from scratch, in C++, using object-oriented techniques. The program currently models two kinds of systems: water heating systems without storage and water heating systems with storage. The second actually covers a multitude of system configurations, in which the heat exchanger can be omitted, the auxiliary tank-heater can be replaced with an inline heater, and the pre-heat tank can be either fully mixed or stratified. Simple entry forms are used, where the main parameters of the system (collector size and performance equation, tank size, etc.) can be entered easily. The program simulates the interactions between the system and its environment on an hourly basis. This can sometimes, however, break down into sub-hourly time steps, when required by the numerical solver, usually when on-off controllers change state. 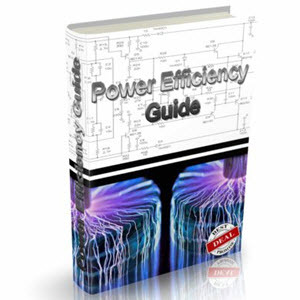 It is a ready-made program that the user can learn and operate easily. It combines collection, storage, and load information provided by the user with hourly weather data for a specific location and calculates the system state every hour. WATSUN provides information necessary for long-term performance calculations. The program models each component in the system, such as the collector, pipes, and tanks, individually and provides globally convergent methods to calculate their state. WATSUN uses weather data, consisting of hourly values for solar radiation on the horizontal plane, dry bulb ambient temperature, and in the case of unglazed collectors, wind speed. At the moment, WATSUN TMY files and comma or blank delimited ASCII files are recognized by the program. The WATSUN simulation interacts with the outside world through a series of files. A file is a collection of information, labeled and placed in a specific location. Files are used by the program to input and output information. One input file, called the simulation data file, is defined by the user. The simulation program then produces three output files: a listing file, an hourly data file, and a monthly data file. The system is an assembly of collection devices, storage devices, and load devices that the user wants to assess. The system is defined in the simulation data file. The file is made up of data blocks that contain groups of related parameters. The simulation data file controls the simulation. The parameters in this file specify the simulation period, weather data, and output options. The simulation data file also contains information about the physical characteristics of the collector, the storage device(s), the heat exchangers, and the load. The outputs of the program include a summary of the simulation as well as a file containing simulation results summed by month. The monthly energy balances of the system include solar gains, energy delivered, auxiliary energy, and parasitic gains from pumps. This file can be readily imported into spreadsheet programs for further analysis and plotting graphs. The program also gives the option to output data on an hourly or even sub-hourly basis, which gives the user the option to analyze the result of the simulation in greater detail and facilitates comparison with monitored data, when these are available. Another use of the program is the simulation of active solar energy systems for which monitored data are available. This can be done either for validation purposes or to identify areas of improvement in the way the system works. For this purpose, WATSUN allows the user to enter monitored data from a separate file, called the alternate input file. Monitored climatic data, energy collected, and many other data can be read from the alternate input file and override the values normally used by the program. The program can also print out strategic variables (such as collector temperature or the temperature of water delivered to the load) on an hourly basis for comparison with monitored values. The program was validated against the TRNSYS program using several test cases. Program-to-program comparisons with TRNSYS were very favorable: differences in predictions of yearly energy delivered were less than 1.2% in all configurations tested (Thevenard, 2008). The input of the required data is very easy and done in a ready-made graphical environment like the one shown in Figure 11.14. The input of the various parameters for each component of the system can be done by double-clicking on each component. Such templates are available for all types of systems that can be modeled with Polysun, and there is a template editor for users who want to create their own, tailored to the requirements of specific products. The modern and appealing graphical user interface makes it easy and fast to access the software. The convenient modular unit construction system allows the combination and parameterization of different system components through simple menu prompts. FIGURE ll.l4 polysun graphical environment. can add also the characteristics of a component, such as a collector, not included in the catalogs. The components included in catalogs include storage tanks, solar collectors, pipes, boilers, pumps, heat exchangers, heat pumps, buildings, swimming pools, PV modules and inverters, and many more. The program also features simple analysis and evaluation of simulations through graphics and reports. Worldwide meteorological data for 6300 locations are available, and new locations can be individually defined. There is also provision to specify the temperature of cold water and the storage room. All features of the program are in English, Spanish, Portuguese, French, Italian, Czech, and German. Storage tanks can be specified with up to ten connection ports, up to six internal heat exchangers, up to three internal heaters, and an internal tank and coil heat exchanger. The output of the program includes solar fraction, energy values (on the loop and component levels), temperatures, flow rate, and status for all components as a curve diagram, economic analysis, and summary of the most relevant values as a PDF file. The simulation algorithm provides dynamic simulation, including variable time steps, flow rate calculation including consideration of pressure drop, and material properties depending on temperature. Artificial intelligence systems are widely accepted as a technology that offers an alternative way to tackle complex and ill-defined problems. These systems can learn from examples, are fault tolerant in the sense that they are able to handle noisy and incomplete data, are able to deal with nonlinear problems, and once trained, can perform prediction and generalization at high speed (Rumelhart et al., 1986). They have been used in diverse applications in control, robotics, pattern recognition, forecasting, medicine, power systems, manufacturing, optimization, signal processing, and the social/psychological sciences. They are particularly useful in system modeling, such as in implementing complex mappings and system identification. Artificial intelligence (AI) systems comprise areas such as artificial neural networks, genetic algorithms, fuzzy logic, and various hybrid systems, which combine two or more techniques. Artificial neural networks (ANNs) mimic somewhat the learning process of a human brain. ANNs are collections of small, individually interconnected processing units. Information is passed between these units along interconnections. An incoming connection has two values associated with it: an input value and a weight. The output of the unit is a function of the summed value. ANNs, though implemented on computers, are not programmed to perform specific tasks. Instead, they are trained with respect to data sets until they learn patterns used as inputs. Once they are trained, new patterns may be presented to them for prediction or classification. ANNs can automatically learn to recognize patterns in data from real systems or physical models, computer programs, or other sources. They can handle many inputs and produce answers in a form suitable for designers. Genetic algorithms are inspired by the way living organisms adapt to the harsh realities of life in a hostile world, i.e., by evolution and inheritance. In the process the algorithm imitates the evolution of a population by selecting only fit individuals for reproduction. Therefore, a genetic algorithm is an optimum search technique based on the concepts of natural selection and survival of the fittest. It works with a fixed-size population of possible solutions to a problem, called individuals, which evolve over time. A genetic algorithm utilizes three principal genetic operators: selection, crossover, and mutation. Fuzzy logic is used mainly in control engineering. It is based on fuzzy logic reasoning, which employs linguistic rules in the form of if-then statements. Fuzzy logic and fuzzy control feature a relative simplification of a control methodology description. This allows the application of a "human language" to describe the problems and their fuzzy solutions. In many control applications, the model of the system is unknown or the input parameters are highly variable and unstable. In such cases, fuzzy controllers can be applied. These are more robust and cheaper than conventional PID controllers. It is also easier to understand and modify fuzzy controller rules, which not only use a human operator's strategy but are expressed in natural linguistic terms. Hybrid systems combine more than one of these technologies, either as part of an integrated method of problem solution or to perform a particular task, followed by a second technique, which performs some other task. For example, neuro-fuzzy controllers use neural networks and fuzzy logic for the same task, i.e., to control a process; whereas in another hybrid system, a neural network may be used to derive some parameters and a genetic algorithm might be used subsequently to find an optimum solution to a problem. For the estimation of the flow of energy and the performance of solar energy systems, analytic computer codes are often used. The algorithms employed are usually complicated, involving the solution of complex differential equations. These programs usually require a great deal of computer power and need a considerable amount of time to give accurate predictions. Instead of complex rules and mathematical routines, artificial intelligence systems are able to learn the key information patterns within a multidimensional information domain. Data from solar energy systems, being inherently noisy, are good candidate problems to be handled with artificial intelligence techniques. The major objective of this section is to illustrate how artificial intelligence techniques might play an important role in the modeling and prediction of the performance and control of solar processes. The aim of this material is to enable the reader to understand how artificial intelligence systems can be set up. 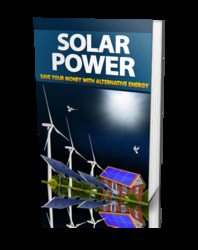 Various examples of solar energy systems are given as references so that interested readers can find more details. The results presented in these examples are testimony to the potential of artificial intelligence as a design tool in many areas of solar engineering. The concept of ANN analysis was conceived nearly 50 years ago, but only in the last 20 years has applications software been developed to handle practical problems. The purpose of this section is to present a brief overview of how neural networks operate and describe the basic features of some of the mostly used neural network architectures. A review of applications of ANNs in solar energy systems is also included. • Function approximation. The mapping of a multiple input to a single output is established. Unlike most statistical techniques, this can be done with adaptive model-free estimation of parameters. • Pattern association and pattern recognition. This is a problem of pattern classification. ANNs can be effectively used to solve difficult problems in this field—for instance, in sound, image, or video recognition. This task can be made even without an a priori definition of the pattern. In such cases, the network learns to identify totally new patterns. • Associative memories. This is the problem of recalling a pattern when given only a subset clue. In such applications, the network structures used are usually complicated, composed of many interacting dynamical neurons. • Generation of new meaningful patterns. This general field of application is relatively new. Some claims are made that suitable neuronal structures can exhibit rudimentary elements of creativity. ANNs have been applied successfully in various fields of mathematics, engineering, medicine, economics, meteorology, psychology, neurology, and many others. Some of the most important ones are in pattern, sound, and speech recognition; the analysis of electromyographs and other medical signatures; the identification of military targets; and the identification of explosives in passenger suitcases. They have also being used in forecasting weather and market trends, the prediction of mineral exploration sites, prediction of electrical and thermal loads, adaptive and robotic control, and many others. Neural networks are also used for process control because they can build predictive models of the process from multidimensional data routinely collected from sensors. • The direct manner in which artificial neural networks acquire information and knowledge about a given problem domain (learning interesting and possibly nonlinear relationships) through the "training" phase. • The ability to work with numerical or analog data that would be difficult to deal with by other means because of the form of the data or because there are many variables. • Its "black box" approach, in which the user requires no sophisticated mathematical knowledge. • The compact form in which the acquired information and knowledge is stored within the trained network and the ease with which it can be accessed and used. • The ability of solutions provided to be robust, even in the presence of "noise" in the input data. • The high degree of accuracy reported when artificial neural networks are used to generalize over a set of previously unseen data (not used in the "training" process) from the problem domain. • The need for data used to train neural networks to contain information that, ideally, is spread evenly throughout the entire range of the system. • The limited theory to assist in the design of neural networks. • The lack of guarantee of finding an acceptable solution to a problem. • The limited opportunities to rationalize the solutions provided. The following sections briefly explain how the artificial neuron is visualized from a biological one and the steps required to set up a neural network. Additionally, the characteristics of some of the most used neural network architectures are described. Is tng and thermal energy the same? How to construct load profile for hot water in trnsys? How to connect trnsys and matlab?